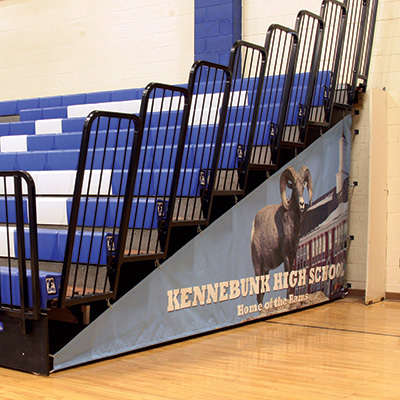 Extend the lifetime of your audience seating by using renovation and repair work for your bleachers or fixed seating with Hussey Seating's IAVM national service program or HusseyAdvantage's regional service center. You chose Hussey Seating Company, the global leader in spectator seating solutions, for your facility. Now choose HusseyAdvantage and our Hussey Regional Service Centers for your telescopic platform and bleacher repair, telescopic and fixed seating parts, bleacher and telescopic platform inspections and bleacher safety services. Why? We have set the standard in our industry and exceeded our customer’s expectations since 1835. At Hussey Seating, we know how to make things well — and how to make things last.